For God knows how long, a hideous Monster was living in this house. We hid it away from people for over a decade. But it was haunting me every single day I was in my family room, snickering from behind the picture frame "I'm gonna be here forever, you can't do anything about me, you can't even paint over me, I will outlive you!" Well, I finally killed. Or to be more precise, I hired some one to kill it. 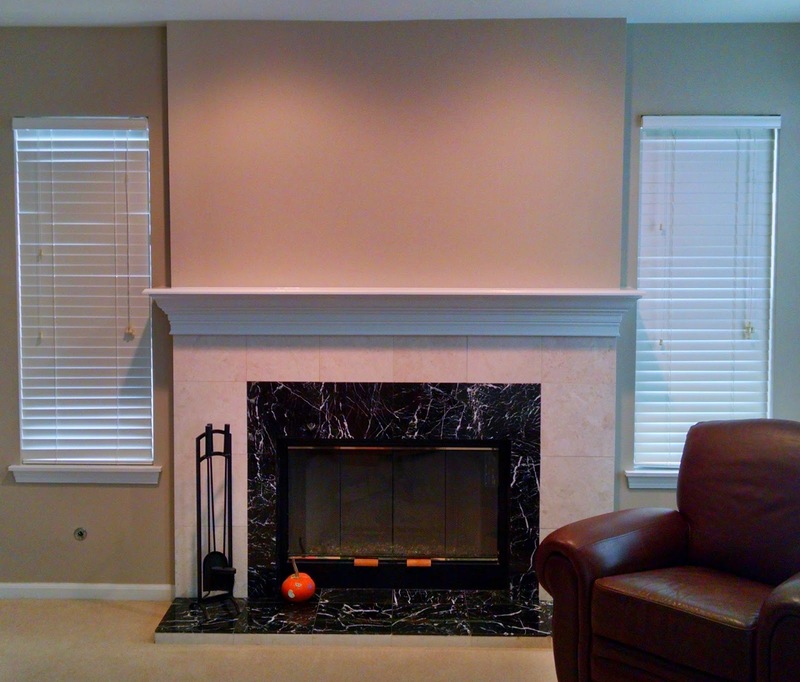 The Monster was a floor to ceiling marble tile fireplace in our family room. 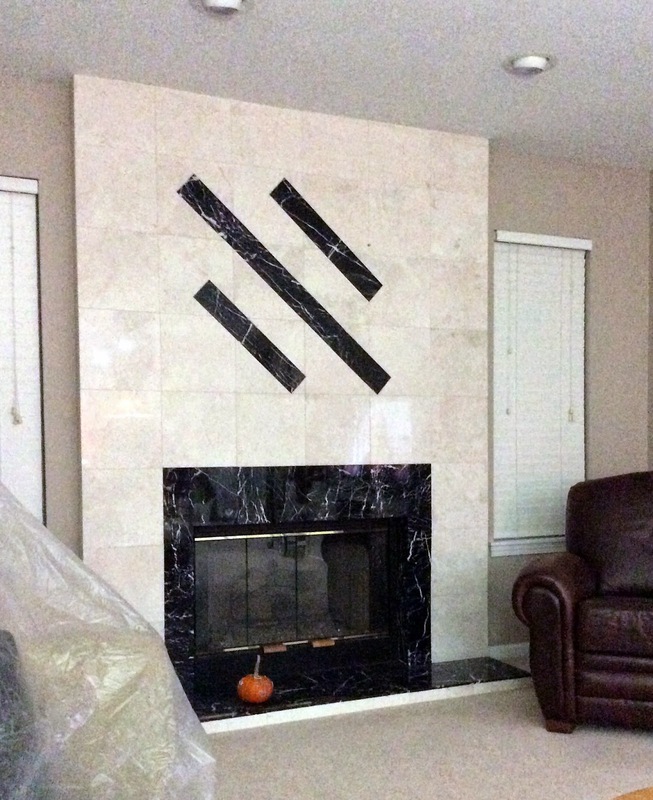 The so-called centerpiece of this monstrosity was not the fireplace itself, but three hideous diagonal black stripes, also in marble tile. Miami Vice was the inspiration, if you can call it that. My understanding on the construction of this structure was that the tile sat on a frame of 2x4s. So I just told the guys to cut it in the middle and knock out the rest. But my contractors are very careful people so they started to carefully chisel away the tile. What they discovered instead of the 2x4s was (wait for it) floor to ceiling brick! As in red, smooth, pretty brick. Although it was painted in semi-gloss white. As my 8-year old exclaimed when he saw the brick: "Who would cover up brick?" This is what probably happened: the idiots were building a house. They picked out all the pink options and all the builder extras – just to have a fireplace was an added-on expense. Then the also added on the floor to ceiling brick. But it was did not go with the pink paint because the brick was dark red. So they painted the brick semi-gloss white. But Miami Vice was calling so they took a big fat marker and started drawing black diagonal stripes on the brick and then realized their "creation" in marble tile. The stripes were not even centered left to right. Suddenly I had to design on the spot. 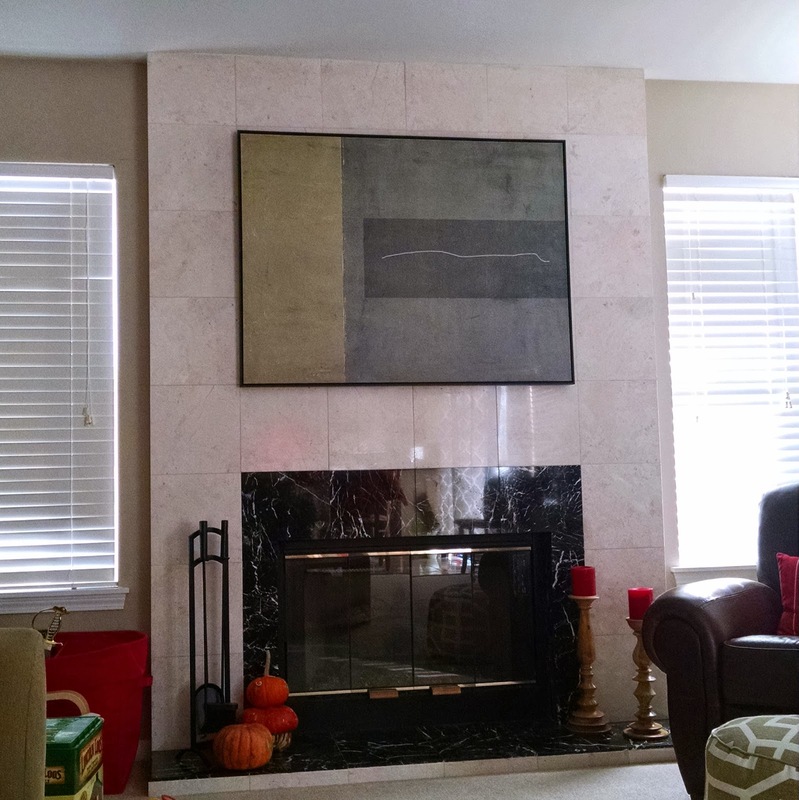 My original, carefully Pinterested plan, called for a smooth wall and a large mantle. Now I was itching to expose all the brick, but was not really sure, the mortar slapped on to it was pretty thick, it would take a lot of effort to get it cleaned up in order to paint it again. I was unsure, questioning myself, my contractor itching to just swing the hammer and decide for me. We settled on just altering the original plan by drywalling the top part that we exposed. Decision made, I went upstairs to explain to my son what this house originally looked like. I told him about the pink and peach walls, the enormous black leather couches, the floor to ceiling mirrored headboard in the master bedroom with mirrored canopy, the marble columns coffee tables. His eyes were getting bigger and bigger, and then he finally said: "I'm glad that you fixed everything Mommy, otherwise my friend's house would be much better than this. He has a brick fireplace! And it is not covered up by tile." Now I need to decide what to hang above and yes, the fireplace doors need to be replaced, but I am taking my time. My head hurts.